Artsmith is proud to announce that we have received our first ever grant. The grant comes from Citizens Committee for New York City. It will be used to implement a photography program for middle and high school students in the Wakefield section of the Bronx. 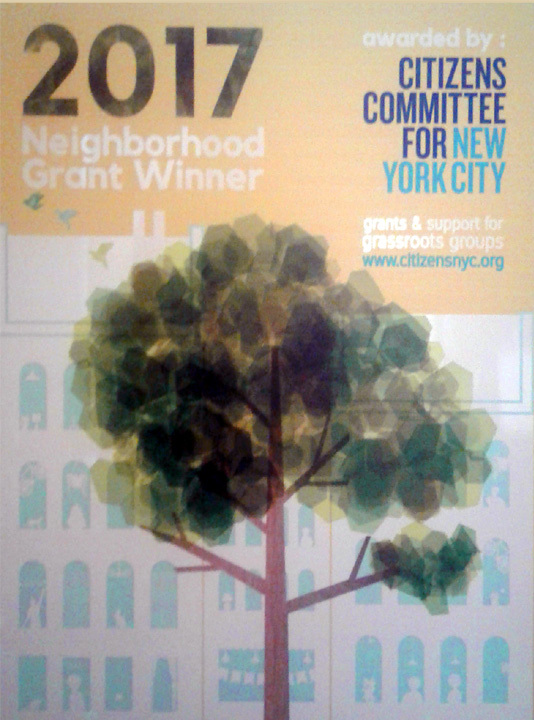 Citizens Committee for New York City is an organization that strives to improve the quality of life in New York neighborhoods, particularly low-income ones. They accomplish this by offering micro-grants for community projects for a variety of causes, including the arts. The money comes from various sources such as private foundations, corporations, and individual donors. The specific grant given to Artsmith was the Neighborhood Grant. This grant is awarded to groups to work on community and school projects. Artsmith was awarded $2,800 of a possible max of $3,000. The program that the grant will be used for is called “Photo Narratives: Image and Context.” Students will be taught the mechanics of digital photography and the art of storytelling through pictures. In addition to the workshops, the students will participate in a themed project ending with an exhibit to showcase their work. The project theme, chosen to reflect an issue relevant to the students’ lives and community, is immigration. Since the northeast Bronx is a largely immigrant community, the students will use this program to tell the stories of the community members’ journeys to and in America. Photo Narratives will not only help young people hone their photography skills; it is also an opportunity for them to learn about other cultures while engaging with the community. The program also provides an opportunity for the community to see the youth in a more positive light. “We get our share of arts-based engagement projects that are seeking to use photography as a mechanism for community engagement, but very few are seeking to make the experiences, narratives, and history of immigrant folks visible. Artsmith is one of the few groups in the Bronx that is doing this work, but definitely the only in the Wakefield neighborhood. Considering recent challenges for immigrants, this project is timely and potent,” Mr. Whitehorn said. This grant is a strong boon to Artsmith’s vitality. A program that enhances young people’s creativity and cultural knowledge is a huge step towards providing youth with better arts programs. The Photo Narratives program is expected to continue annually, with a different project theme chosen each year to reflect current events affecting the students and the community in which they live. Photo Narratives joins Words vs. Pictures, Bookworms, and Beyond Words on Artsmith’s program roster.